From the time I was little I have always loved Crayola crayons…not Rose Art, not the restaurant bulk crayons, Crayola crayons. But I always was super picky about my crayons: They had to be new with sharp points. Even if I would use the built-in sharpener from the box of 64, the points were never perfect enough again (although the new sharpeners have gotten much better). The box of 64 brings me to another point that I always needed with my crayons: Variety. I wanted to have as many hues available in my crayon box as possible. When the 96 box came out I was in my glory. My mother was much the same. There was just something about the smell of Crayola crayons (especially from a freshly opened box). And being able to use different shades to capture as much realism in my coloring as possible was just an added bonus. Why am I talking about my borderline-obsession with crayons in a forum that is primarily about my crochet journey? Because history has a funny way of repeating itself with me. I’ve talked before about how I’ve been searching for “the one” when it comes to yarn. I want to have one go-to brand and weight that I know is going to produce consistently amazing amigurumi, be affordable, and be awesome to work with. With this goal in mind, I’ve sampled a lot of yarn in not quite 18 months. But, like I said, history has a way of repeating itself. There are several companies that I have tried, and they make a perfectly lovely product, but they just aren’t my Crayola – they just weren’t the right fit for me. Some came close, some missed the mark, and there are some that aren’t quite there, but they are close enough that I can happily use them, especially in a pinch. But I do think that I’ve found a yarn winner: Knit Picks. I have been using them pretty much exclusively for two months and am impressed with the consistency and quality of the product, and the cost effectiveness. I have found that both their Brava Worsted and their Mighty Stitch are my favorites, although I would like to make a teddy bear with their Wool of the Andes blend. The funny thing is I have noticed my Crayola tendencies rubbing off on my yarn picks. Knit Picks is currently my “crayon” of choice, so of course I want to get as many different colors as I can. But, just like I hated as a kid to use a crayon after the point wore off, or got down to a certain stump, I am the same with a skein of yarn. I enjoy the satisfaction of beginning a new project with a new ball of a yarn. And, if I work on a project and I only have a few yards of yarn left, I tend to wind up that yarn and put it to the side instead of starting another project with it, only to have to change to another skein in mid-row. I guess some habits just die hard. Considering that both crayons and yarn involve bright colors and a degree of creativity, I guess I shouldn’t be totally surprised that I have similar tastes and habits with both, but I still kind of am. I wonder if my love from this brand of yarn will be as long of a partnership as me and Crayola (we are 41 years strong), or if there will be another skein of yarn to tempt me away. Oooh, look at all the pretty colors. (I’m such a dork). 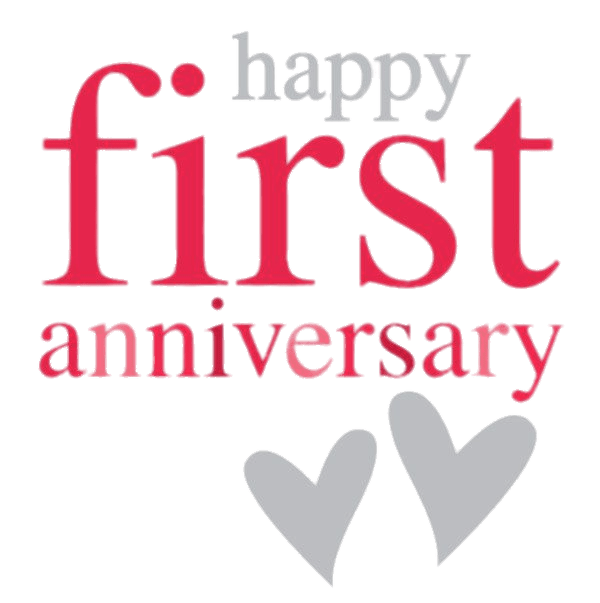 I’ve been so crazy busy these last few weeks with work, home, Luvvies, orders, and convention planning that I completely lost track of the date, until I was doing some maintenance on the site and realized – holy crap, it’s been a whole year since I’ve had Lil’ Luvvies. March 27, 2018 I made my first post on this Web site and officially opened up to share about my crochet journey, offer Luvvies for good homes, and see what could happen with this hobby that I had taken up. Of course, I had been practicing and making stuffed animals for several months before I officially took to the Interwebs, but the day that I decided to make an official go of it has already been a year. In some ways that time has absolutely flown, in others I feel as this has been part of my life forever. There has been a lot of learning and sharing – triumphs and failures in that period. And even though I have gotten stressed about how some of the Luvvies have turned out, every day I have enjoyed what I have done. And looking back now and seeing early projects (like the entire top row above), it is so cool to see how thinks have progressed. I have been so lucky over the past year to have gotten to go to conventions and talked with people, and gotten to make custom designs for people that (hopefully) brought joy into their lives. As I start into the second year of this endeavor, I am looking forward to what is to come: I am anticipating going to four conventions this year, creating new designs, meeting new people, and just learning more about what makes a great stuffed animal and how I can improve my skills. Of course an annual retrospective would be remiss if I didn’t also take time to thank everyone who has supported me in my endeavors. My family who have gotten so used to me sitting on the couch with yarn in my hands that I think they forget what I look like without it; My friends who have to endure the “it looks terrible, why did I ever start doing this in the first place” conversations; and, to everyone I’ve met physically and virtually who have interacted with me – left words of encouragement – ordered a Luvvie – or just have liked posts or pictures that I have shared, it really has meant a lot. I have so many people to be thankful for and so much that I have learned from Luvvies and so many ways that I have grown, I can’t wait to see what the next year will bring…and I can’t wait to share this crazy awesome journey along with you. Most designers will say – stuff until the animal is firm; or, make sure the animal is well stuffed. But what is the definition of firmly stuffed? From what I can see, this various by designer and varies by artist. Most patterns will recommend the crocheter keep their tension relatively tight so that the stitches don’t pull apart when stuffed; or to use a hook one to two sizes less than supported by the yarn to get tighter stitches. Other designers will say it’s better to lean closer to overstuffed because the fiber fill will redistribute and settle as the toy ages. Part of me wishes I could have a good weight to know that is the perfect filling. But alas, there often are too many variables for this to be an option. Yarn weight can vary; tension can change; distribution of the stuffing itself can change – so what is good for one stuffed animal isn’t good for another. I definitely err (most times) on the side of overstuffing. I want my Luvvies to have a good weight to them and be super cuddly. The only problem with this is sometimes the stitches do pull and the stuffing shows through – making the finished product look not quite as professional. The Catch-22 with that is if I don’t stuff to almost the point of overstuffing, when the fiberfill redistributes the Luvvie can droop and look sad…and no one wants a sad plushie. I don’t know – I’m hoping that you do (lol). I’ve gotten better over the past 18 months with proportion. There used to be a time that I would have stuffed Dobby (above) until his head was three times the size of his body. But, I’ve learned when to stop that urge. So, that’s progress. I had someone on Instagram recommend to me recently to use pantyhose to put the stuffing in so that the white of the fiberfill doesn’t show through as much. I’m curious about that – I kind of want to try it, but I worry that with as many Luvvies as I make, and with all the various sizes that pantyhose won’t be big enough to help with my situation; but I still want to see what happens. While I try to determine what the appropriate level of stuffedness is (I think the OED should use that as their new word of the year: Stuffedness) for these cuties, I think there will be variations form project to project. One Pooh might have been on a diet to get out of Rabbit’s entry-hole. Another Pooh might have had a bit too much hunny and looks stuffed to bursting. I have to try to fight with my perfectionist tendencies. My Luvvies are not factory made, mass produced: They are made individually, which is what makes them so special, especially to me. So, though I may not have the ratio of stuffing to yarn mastered, I’m continually trying to get better. I’m learning new techniques every day, and if there are no two Luvvies that look exactly the same, I have to try to think of it as adding to their appeal. I guess, in the end, the answer of my question of whether to stuff or not to stuff is to stuff, but only so far. I like to think we know each other well enough now for you to know that I am not the most laid back of people; probably why I’m diagnosed with chronic migraines. I like to be as much in control of my own destiny as possible. However, I also am aware of my (many) faults, one of the biggest of which is that I hold an advanced degree in the field of Procrastination. Sometimes it isn’t even that I procrastinate so much as I am just slow still at crocheting, and am easily distracted…..squirrel. Whatever the heart of the matter is, as of today I have 30 days until Awesome Con and my first convention of 2019. With that deadline approaching I am starting to worry about the fact that I don’t have as many Luvvies ready for stock as what I was hoping for: This fact has me more than a little nervous. Part of the reason I don’t think I succeeded as well as I could have in Rhode Island is because I didn’t have enough stock – neither from a diversity standpoint, or from the multiples for the same item. Another reason could be different crowds, different desires. It is this second reason that has me doubly nervous about Awesome Con – that and the fact that I have never attended the convention before, even as a guest. I don’t know what to expect. Are these fans who have a wide array of interests? Should I focus more on my Pokemon materials? More on less popular characters? It is this indecision that is hindering me the most because I start a project and then stop it because I think something else could potentially sell better. I’ve been tying to think about what I want to do. I’ve done superhero Luvvies before and they have not been super successful. At the same time, some of the more generic cuties that I had so much fun making and that I think will be well received, sit unloved and have to be packed back into their crates to wait for the next con. I’ve been trying to look at a some what different approach. I’m doing comic/fan related softees, but more generic. Bear with me, I know that doesn’t make a ton of sense. One thing that I’m trying to incorporate is having some of the Peanuts characters available for sale. I have just completed Lucy van Pelt and Charlie Brown. I’m hoping to be able to get at least Snoopy and Woodstock done so they can join their friends. I grew up with the Charlie Brown cartoons and comic strips (and yes, I sobbed uncontrollably at “Snoopy Come Home,” I do not watch it any more). And I enjoyed the “Peanuts” movie when it came out. To me, the Peanuts gang is timeless – it isn’t something that is going to be a fad that I have to make sure I hit the right con at the right time. So I think they will do well. Also when talking about more “timeless” fandoms, I have been working on a series of Winnie the Pooh characters. I have Pooh, Piglet, and Tigger, too all ready for Awesome Con. I am hoping I will be able to get Eeyore done so he can join his friends. My room was done in Winnie the Pooh for years when I was growing up – and then I changed to Strawberry Shortcake. When I was pregnant with Desi, I immediately knew that I wanted her room in Pooh, too. She still has that theme, even at 10. She loves the characters, and they definitely had a resurgence with last year’s “Christopher Robin.” With all that said, I think they can be rather successful at the convention. Of course I know that the con is the same weekend that Avengers: End Game debuts, so having some Iron Man, Cap, and Hulk would be a good idea. The question truly will be how much can I get done before it is time to go?I guess we will see how much I can produce and that I’m happy with. In the meantime, the stress is on, as is the countdown. I’ve been on my crocheting journey for about 18 months now – rediscovering a love for the craft, and trying to balance my obsessive tendencies with using crochet for the therapeutic benefits I recognized in it early on. One thing I have not ventured into much in this time is designing my own patterns. For the most part, I rely on people more talented that I am to design amazing patterns and then I use that roadmap to create my new friends. I have designed one pattern fully in my time and it had mixed results. However, I have come across an interesting dilemma recently, and that is the need to improvise. For two orders I was asked to customize a Luvvie. This was a little overwhelming to me. I wanted to do something quality and awesome for the customers, but I also was aware of my (perhaps self-perceived) limitations of needing to have that pattern to guide me. I’m actually the same way with drawing – I cannot free hand draw, but if it can follow someone else’s drawing, I’m typically able to do a rough facsimile. With the picture on the left, the ask was to modify the voodoo dollies that I regularly make and create a type of voodoo princess, complete with a succulent crown. In the end, this one only had limited improvisation needed – I added some rows to the neck to give her a longer, taller frame, and I used the pattern from another design to create the crown. All in all it was improvisation, sure, but it was definitely within my comfort zone. However, with the picture on the right – that was decidedly out of my comfort zone, but I am insanely proud of how she turned out. A custom commission from someone I met at Steel City Con, this was to be a Luvvie representation of her Furry avatar – the character she cosplays as and created. I wanted this to be perfect for her, and looking at it there still are things I would have changed. In the end, the finished product is very similar to what the character looks like. I ended up cherry picking ideas from about five different patterns to come up with the finished product and was happy with the results. There is a difference, though, between planned “improvisation” and true, on the fly improv. Recently, one of my all-time favorite Etsy designers released a series of Winnie-the-Pooh inspired characters. Pooh and friends are some of my favorite characters and have been for years. I have made versions of some Pooh characters before, but because her patterns are always super cute and work up easily, I was stoked to be able to make these. As I started with the first pattern, Pooh himself, I soon realized there was something not quite right. In one of the rounds, the designer wanted me to reduce my stitches but in doing the exact stitches asked and counting what I was doing, I just wasn’t ending up with the right amount. After driving myself crazy for about 30 minutes, I finally stopped trying to crochet and pattern read at the same time and sat to actually read the pattern alone: It was then that I realized, the stitch count would never match because it looks like a line in the pattern had accidentally been omitted. So, I faced a dilemma – what was I going to do? Should I message the designer on Etsy? That would probably mean I couldn’t work on this any more for the rest of the night. But if I didn’t figure out what to do how would I move on? This is where improvisation came in. Reading the pattern, I saw where the designer was trying to go, and I could envision how this row was going to lead to the next row – the only question was even though I could see what was needed, how was I going to make it happen? Once I get into a rhythm with a project, I usually don’t like to stop because then it is more difficult for me to get back to where I was at and sometimes (though I’m told it is only me who thinks this) it looks like the stitches are different from one working session to another. My solution was a mixture of techniques and hodgepodge. It wasn’t the most elegant solution, but it was able to get the job done and I don’t think my Luvvie is that worse for the wear. Basically, I went by the number of stitches that were indicated for the row, and if that meant I had to add an extra stitch, or single crochet for three stitches where the pattern didn’t indicate, or add a decrease then that is what I did in order to make sure the next line got on track. Although it might not seem like a big deal, to me it was an example of how far I have come in this process. When I first started doing amigurumi, if my stitches didn’t work out exactly I got so flustered I wasn’t able to figure out what to do, and I wouldn’t dare deviate from a pattern. That is the one good thing about working in the round versus working in rows; if you need to add an extra stitch or remove an extra stitch between rounds, in 99% of the cases, you won’t be able to see where the issue occurred – rows are not quite that forgiving and often you start to shrink in or expand out when a stitch has been gained or lost. I may be all for celebrating the small victories, but that doesn’t mean that I’m ready to go completely rogue at this point. I still consider myself a student of the craft, and I’m still learning, so patterns are the best way for me…I’m just slightly more comfortable to dip a toe into the ocean to personalize or to regroup if there is an error in the pattern itself. Who knows? Pattern designing might not be far behind for me, but for now, I’m happy with my Luvvies just the way they are and grateful for the people far more talented than I who make these amazing patterns available.